When the 2008 presidential campaign ended, liberals may have been celebrating their victory, but deep down inside they trembled with fear that the phenomenon known as Sarah Palin would come back and take down their beloved Barack Obama in 2012. They hoped to beat her into obscurity with lies, innuendos, hit pieces across the mainstream media and frivolous ethics complaints. Instead, they made her stronger by conditioning her with their vitriol and mockery. The culmination of that failed effort to destroy her is here with the release of four books, the first two or three which already look like duds. These books are timed to come out just as candidates are announcing their presidential bids for 2012. The intent is obvious, if not laughable. If Sarah Palin was the ethically challenged lightweight that they are trying to convince us she is, people with normal brains would have figured that out already. There would be no need for Geoffrey Dunn, Frank Bailey with the help of mud-lapper Jeanne Devon, Joe McGinness or Levi Johnston to even bother making anything up. The truth makes its own gravy. Only lies require artificial color and flavor. It seems that everyone has something to say about Palin, not least Geoffrey Dunn, an investigative reporter and Huffington Post contributor who has regurgitated the political bile of the last two election cycles in 400-plus pages of unsubstantial but toxic prose. “The Lies of Sarah Palin” is an extended ad hominem attack with little fresh information, analysis, or insight. Readers sympathetic to Palin will likely find that Dunn’s dismissive tone confirms the worst characterizations of left-leaning media. Readers not sympathetic to Palin may find that Dunn’s argument misses the mark. His indignation might be more persuasive if he offered new or compelling information for his charges; however, the bulk of his case against Palin is built out of conversations with people who don’t like her. The result doesn’t feel so much like rigorous reporting as a transcript of the seventh grade. 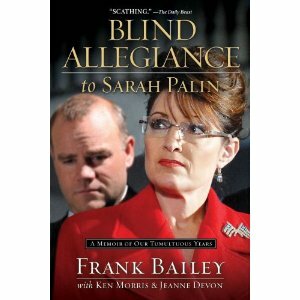 Frank Bailey’s book Blind Allegiance to Sarah Palin has made him the subject of an ethics complaint and an attorney general investigation. “The Alaska attorney general’s office says it’s investigating a charge that former Sarah Palin aide Frank Bailey wrongfully used state emails as the basis for his coming book slamming the ex-governor.,” according to the Anchorage Daily News (h/t Lori Calabrese at US4Palin). How fitting that Jeanne Devon would be accomplice to such a violation if he was ever charged or convicted because of it. Levi Johnston’s book is expected to end up in the children’s fiction section of the library. The mere fact that the Left would even drag this dwebe out to do their dirty work is indicative of a desperation streak that the liberals have demonstrated throughout the nearly three years since Palin hit the trail for the McCain campaign. Suffice it to say, if the Right had some bitter kid with an axe to grind over a lost love who was the poster child for how not to self improve, they wouldn’t be stupid enough to use him on Obama if the roles were reversed. Speculation on Joe McGinniss’ book is that it will also be seen as a partisan hit piece from an aging writer well past his prime. Rational people will see through the garbage on bookstore shelves. Regardless of their political beliefs, agree or disagree with Palin, most good hearted people who don’t have self-esteem issues will be skeptical of anything these “writers” have to say. The days of “oh my God, could it be true?” are behind us now as thousands of hit pieces lay in the garbage or in cesspools after people found better use of them than for reading. Every hit piece put out has been thoroughly debunked to the point where they are either forgotten or clung to by bitter lefties who wouldn’t know what to do with a Bible or a gun if they had one. So for those Palin supporters who fear what might be in these books, fear not. The Left and the media have dug so deeply through the Palin’s trash that if there was something there, they would have already found it. For those who hate her, keep on hating. But, you will find yourself disappointed that these hit books will do nothing more to help your case other than to maybe piss off enough conservatives to vote for her for president so that the you get the best crow on the menu come inauguration day. It makes sense that Geoffrey Dunn would write a book. He has no credibility to begin with. Why Frank Bailey would risk the scrutiny of the Attorney General’s office is another thing. Levi Johnston furthers his spiral down the toilet bowl of life. Then you have Joe McGinniss who chooses to spend his later years destroying all the credibility he once worked so hard to establish. All of this says a lot for how Sarah Palin forces the devil to reveal himself in the burning red eyes of his mouthpieces. If Linda Blair’s green puke from the Exorcist could be put into words, you will find it on the pages of these sad, pathetic people’s books. It’s so rare to see a defense of Sarah Pain in such a “progressive” publication as The Christian Science Monitor, that we had to double check the masthead to convince ourselves that we weren’t reading a Jedediah Bila op-ed at The Daily Caller or a John Hayward opinion piece at Human Events. But, no, it was indeed the usually anti-Palin CSM displayed on the monitor right before our very eyes. We were even more surprised to learn that the article’s author, Kelly Nuxoll, is a frequent contributor (“citizen journalist”) to the very anti-Palin Huffington Post. Nevertheless, it’s a resounding refutation of Geoffrey Dunn’s book, The Lies of Sarah Palin. The fact that Dunn is also a HuffPo contributor probably accounts for the Nuxoll piece landing at CSM rather than at Arianna’s place. It seems that everyone has something to say about Palin, not least Geoffrey Dunn, an investigative reporter and Huffington Post contributor who has regurgitated the political bile of the last two election cycles in 400-plus pages of unsubstantial but toxic prose. “The Lies of Sarah Palin” is an extended ad hominem attack with little fresh information, analysis, or insight. Readers sympathetic to Palin will likely find that Dunn’s dismissive tone confirms the worst characterizations of left-leaning media. Readers not sympathetic to Palin may find that Dunn’s argument misses the mark. Many voters have real objections to Palin. That she waves like a beauty pageant contestant is not one of them. The book’s central thesis is that Palin is ambitious and deceitful. The first accusation seems irrelevant. Unless we alter our political process so as to foist public office on resisting citizens as punishment, we must accept that our representatives will be ambitious. Let it go. Dunn’s second point – that Palin habitually plays fast and loose with the truth – has more significant implications for a public official. Though, again – really? A politician fudged? This merits a book? Dunn’s argument is made particularly thin by the examples he provides. Somehow it seems fitting that Dunn, who so often has used the web pages of Huffington Post as a battleground to prosecute the left’s War on Sarah Palin, should have his book exposed as just another collection of unsubstantiated ad hominem attacks at the seventh-grade level by one of his own HuffPo co-contributors. We wonder if there are more liberal authors who will, when reviewing Dunn’s book, show the same intellectual honesty as did Kelly Nuxoll. Or will they pander to the salivating left and simply join in his gratuitous and unsubstantiated Palin-bashing? Tune in tonight to my interview with African-American Conservatives (AACONS) on Blog Talk Radio. First, they will interview South Carolina Senator Jim DeMint at 10 p.m. Eastern. I will follow at around 10:20. The discussion will center around Governor Palin and a variety of issues pertaining to the Black commmunity. Jim DeMint was elected senator of South Carolina in 2004 and then chairman of the Senate Steering Committee in 2006. For standing up against wasteful spending in Congress and saving Americans about $17 billion, Wall Street Journal editor Steve Moore called DeMint the “taxpayers’ greatest ally.” DeMint was also recently ranked as the Senate’s most conservative member by National Journal and as the No. 1 senator voting for responsible tax and spending policies by the National Taxpayers Union. The senator and his wife, Debbie, have four grown children, are doting grandparents, and live in Greenville, South Carolina. Adrienne Ross is a 7th grade English teacher in New York, yet is becoming one of the fastest rising stars of the conservative blogging world. Her work can be found on her website MotivationTruth.com, where one can also many interesting links, photographs and videos. She credits Sarah Palin for providing the spark that has brought her into the political arena and is a passionate supporter of Governor Palin. [Miss] Ross is a Born Again Christian, a basketball fan, and a motorcycling enthusiast. 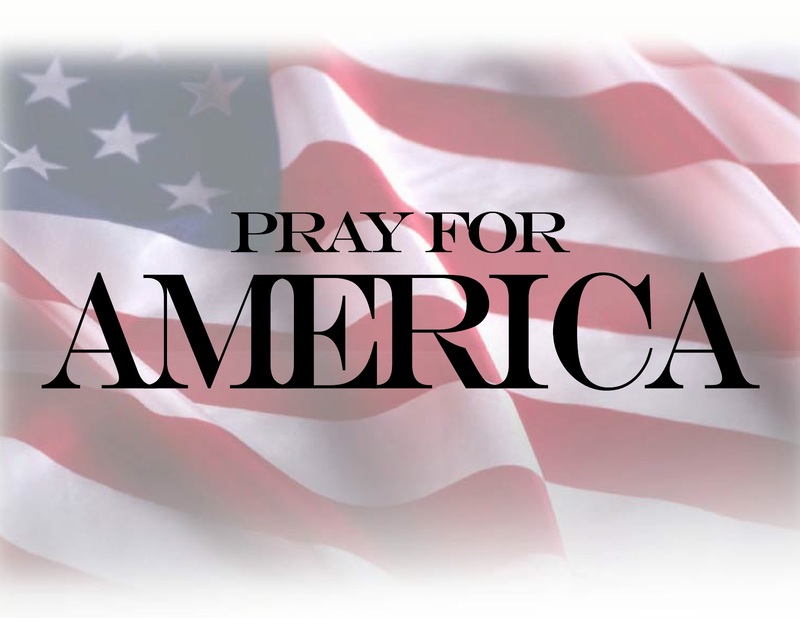 News Real Blog has listed Adrienne Ross as one of The Top 10 Tea Party Bloggers You Need to Read. You can listen live by clicking here, and I will have the audio up when possible for those who cannot listen live. Bristol Palin was thrust into the spotlight when her mother became the 2008 vice presidential candidate, but since, the single mother has appeared on Sarah Palin’s Alaska, became the Candie’s Foundation spokesperson for teen pregnancy, made a cameo in ABC Family’s “The Secret Life of the American Teenager,” was a finalist on Dancing With the Stars and has now landed her own reality show on the BIO Channel. According to BIO, the currently untitled show will follow Palin as she moves from Alaska to Los Angeles with her baby, Tripp. She goes to work at a small charity and moves in with fellow ‘Dancing With the Stars’ contestant Kyle Massey and his brother, Christopher. Although the show is untitled at the moment, BIO has ordered 10 half-hour episodes, which will begin airing at the end of the year. Frank Bailey, co-author of a new tell-all book on Sarah Palin, is under investigation by Alaska’s attorney general regarding state emails used to write the book, Blind Allegiance to Sarah Palin. Bailey joined Palin’s 2006 campaign for governor and was one of her closest aides while she was in office, but Bailey has since teamed up with Ken Morris, a former Wall Street executive and Jeanne Devon, who publishes the anti-Palin website Mudflats to create what’s been dubbed a chilling expose on the former Governor. In BLIND ALLEGIANCE TO SARAH PALIN: A Memoir of our Tumultuous Years, it’s being reported that Bailey explores such key events as Palin’s gubernatorial victory, Troopergate, illegal coordination with the Republican Governor’s Association, never-before-revealed scandals such as a judicial appointment as payoff for a favorable child custody ruling for Palin’s sister, the vice presidential campaign and the bizarre vetting process, and Palin’s resignation. Bailey wrote that the book was put together with the help of more than 60,000 emails he sent or received while working for Palin, however, longtime Palin critic, Andree McLeod charges that Bailey shouldn’t have shared emails with his co-authors that are not available to the general public. She also maintains Bailey broke Alaska’s executive branch ethics act. It says former public officials aren’t allowed to use information acquired in the course of their work for personal gain if the information hasn’t been publicly disseminated. McLeod charges that she has emailed the attorney general repeatedly in recent months asking what’s being done. Bailey did not respond to the Anchorage Daily News on Monday. But he told The Associated Press in September that his procedures in preparing his book were lawful. Bailey’s book is due to be released May 24. An Anchorage judge granted Governor Palin a six month extension of the restraining order against deranged stalker Shawn Christy, of Hazleton, PA, various media reported yesterday. The judge, however, denied protective order requests placed by the Heaths and Kristan Cole against Christy’s parents. Apparently stalking is a family activity in the Christy household, with father and mother Craig and Karen Christy – calling the Heaths 26 times in one day. 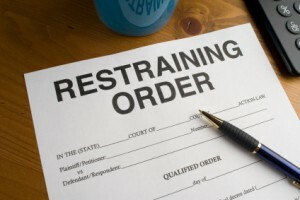 But, a restraining order was granted to Gov. Palin against Craig Christy for making harassing calls to the Palin house. Shawn Christy, had been harassing and threatening the Palins and Kristan Cole, and made threats against Obama and Senator John McCain, according to widespread media reports. Christy’s stalking included vulgar calls to Gov. Palin’s home; sending the Palins receipts from a gun purchase and telling them of his intent to purchase a one-way ticket to Alaska. Christy in fact made a brief round trip to and from Anchorage at a cost of $700 around the time of Gov. Palin’s birthday. H/T Josh Painter, Texas for Sarah Palin for story lead.